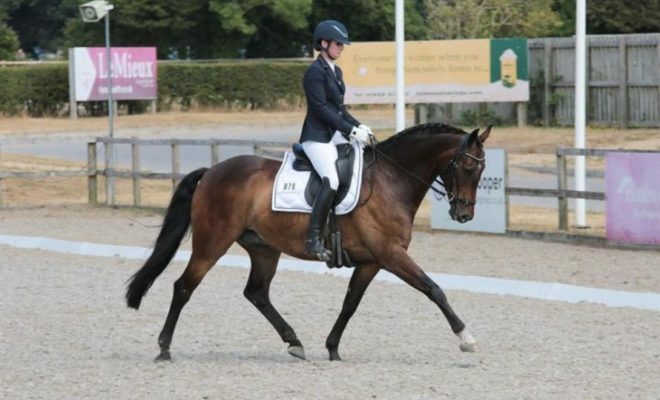 Relaxation is a key requirement of the ‘happy athlete’, presenting a picture of a willing horse and harmonious partnership to the dressage judge. 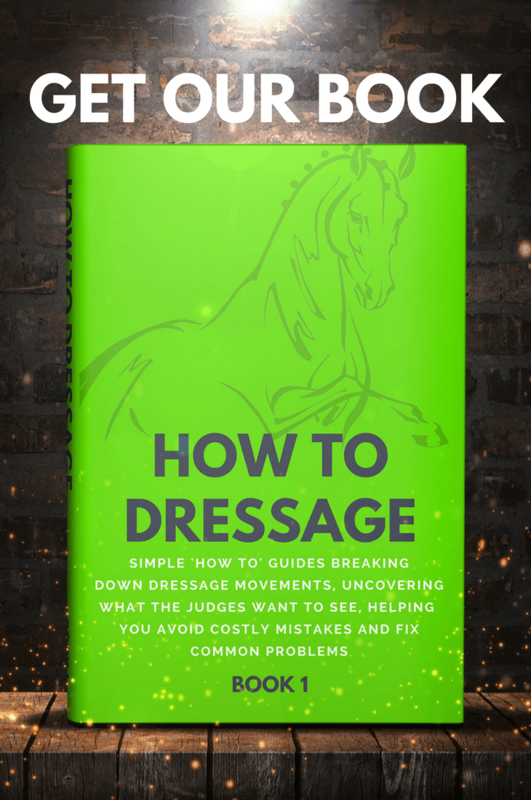 But what can you do if your horse becomes uptight as soon as you enter the school or dressage arena? Here are some tips on how to encourage your uptight equine to just ‘chill-out’! Tension is a big mark-loser in dressage and can manifest itself in many ways; there may be contact issues, tail swishing, calling to other horses, and spooking. Sometimes a tense horse will tighten over his back, lose the clarity of the rhythm and hurry through a test. Conversely, some tense horses simply shut down and don’t work freely forward. Horses are creatures of habit and routine. 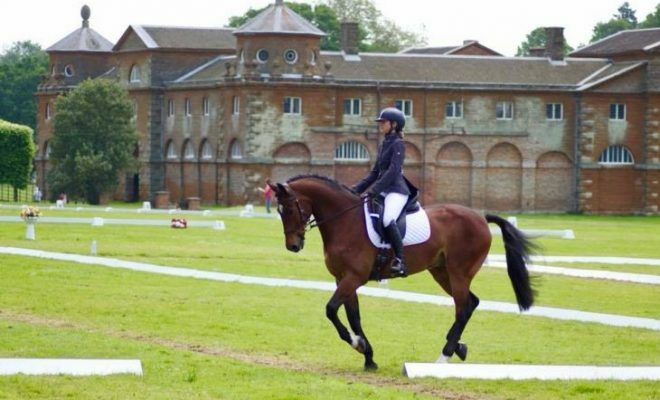 It may, therefore, be possible to make your horse feel more relaxed and secure in the competitive environment if he has a structured and familiar warm-up routine that you use all the time when working him at home. The horse will be confident if he knows what is expected of him and if you ask simple questions, like transitions he can easily get right. Work him in a long loose frame, encouraging him to seek the contact forward, and don’t attempt to collect him or challenge him with difficult movements until he’s completely relaxed and settled. When introducing a new exercise, don’t expect it to be perfect on your first attempt. Build up the difficulty as the horse gains confidence and understanding. Use lots of verbal rewards and give plenty of stretching breaks. If you feel your horse getting tired, cool off and finish the day’s session. You can always try again tomorrow. Aim to finish every session imagining that your horse is happily humming to himself as you cool off. 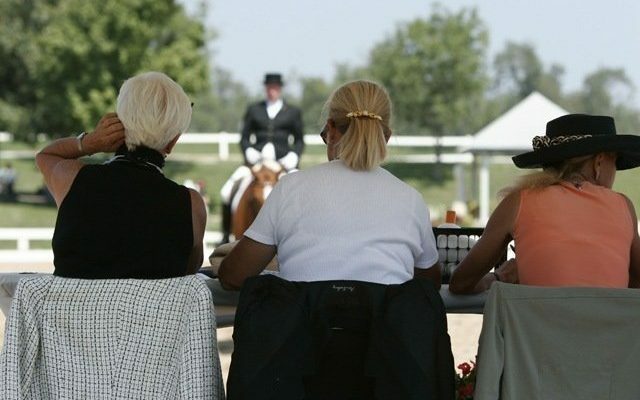 The competition environment can be stressful and full of distractions for your horse. As much as is possible, try to replicate these distractions at home. Have a radio on whilst you are training, put a table and chair at the end of your arena and place flower pots next to your arena markers. 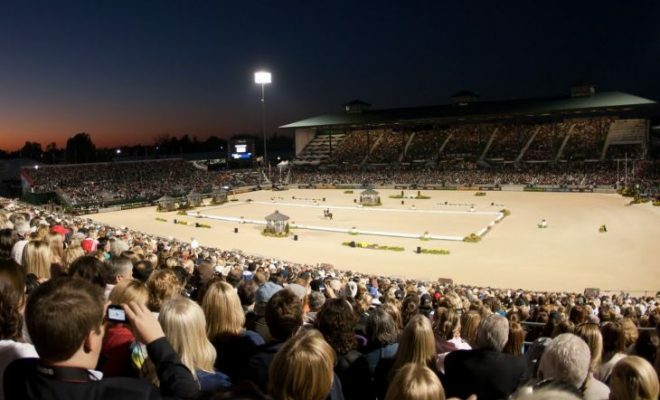 In the run-up to a competition, recruit a few friends on your yard to pop up chattering and laughing loudly next to the arena while you’re schooling, or perhaps run past you waving. The more you can desensitize your horse to distractions at home, the more prepared he’ll be for the unexpected when you take him away. Take your horse out to training clinics so that he will learn to trust you in an unfamiliar environment without having the pressure of a competition. 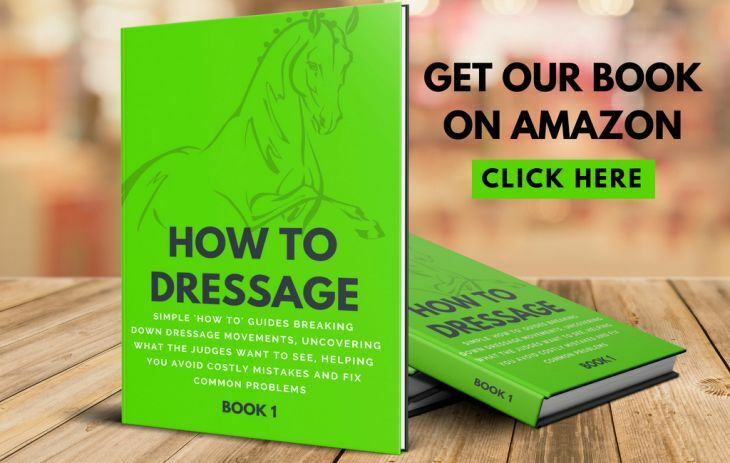 Your trainer will also be able to help you manage any spooking by riding a shoulder-fore past the ‘dragon hiding in the hedge’, or through riding transitions within the pace to keep his focus. 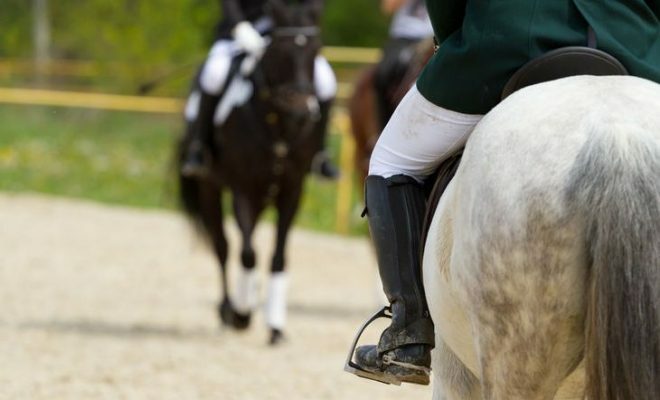 If your horse is anxious in the working-in environment at a competition, ask the organizers if you can turn up and just ride around without competing on a few occasions. Initially try to pick a quiet venue and ask for early/late times so that you’re not faced with a packed warm-up area and hoards of people bustling around. Make sure that you are relaxed too. Obviously, this is is easier said than done, but try to teach your horse to have the confidence in you and to be brave. 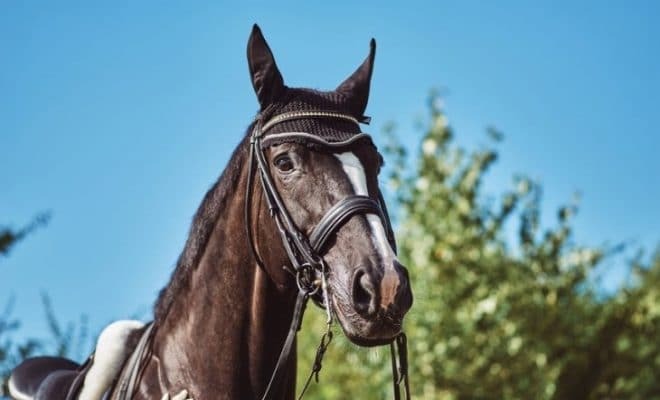 Some horses are naturally more ‘stressy’ than others, but with some preparation and equine psychology, you can help them to overcome their event nerves. Have a plan and build on your partnership so you both gain trust in each other.